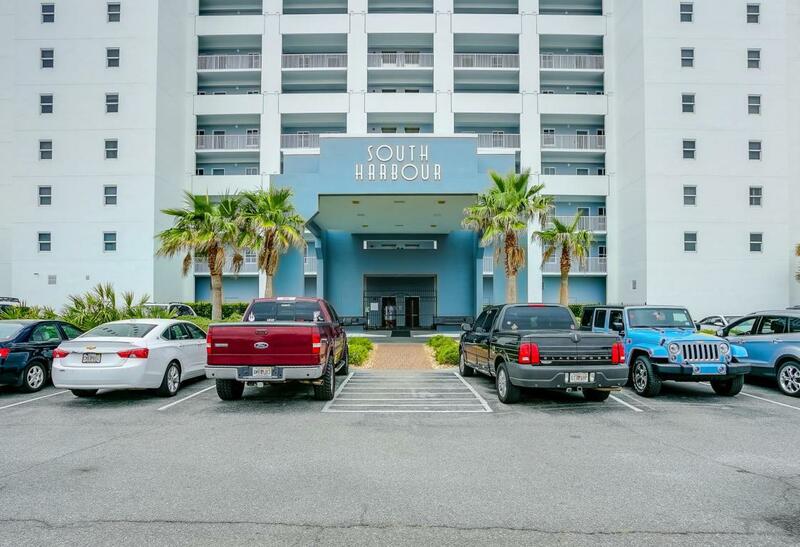 At the heart of Pensacola Beach, South Harbour provides superior location and amenities ideal for both investment and private residency! This lovely unit offers 2 bedrooms, 2 full bathrooms, open plan living room - kitchen/dining combo, breakfast bar, stainless steel appliances, new granite countertops, tile flooring, in-unit laundry with stacking washer/dryer and a breathtaking water view from the private balcony. With Sabine Bay as the backdrop, picturesque sunset views stretch across the unit from the spacious balcony. 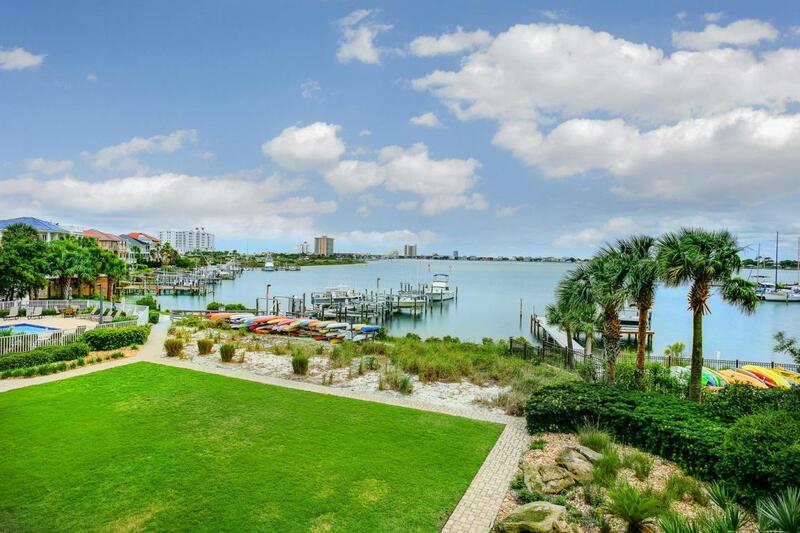 Unwind in the comfort of this cozy unit or take to the amenities and outdoor entertainment this waterfront community promotes with the beach access, community pool, green space, kayak/paddle board area, boating, and fishing. Watch the Blue Angels from the community pier -- truly a rare find! Take advantage of the fitness room, sauna, kayak/paddle board and bike storage, private storage units, and 3 levels of secured access! 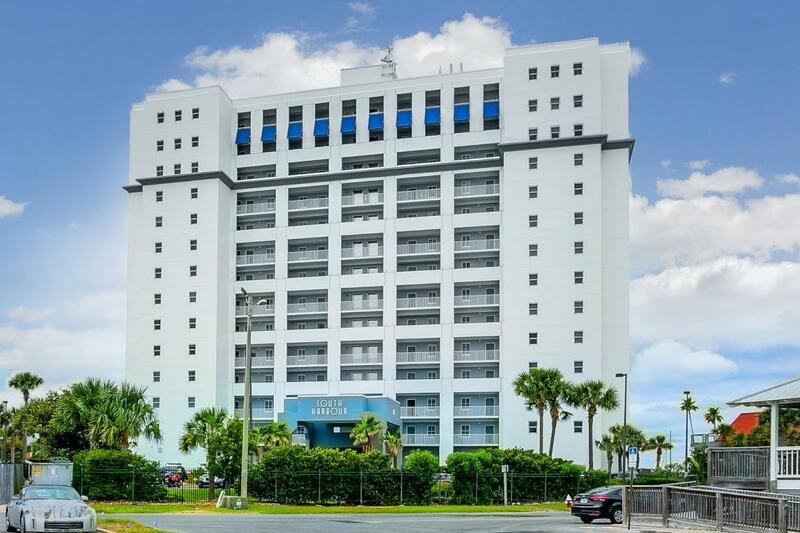 The gated access to parking lot, gated access to building and coded access to elevators provides a true sense of security, privacy and seclusion - although surrounded by everything beach life has to offer! Ride your bike or take a short stroll to restaurants, bars, shopping, nightlife and public beaches, all just steps away. 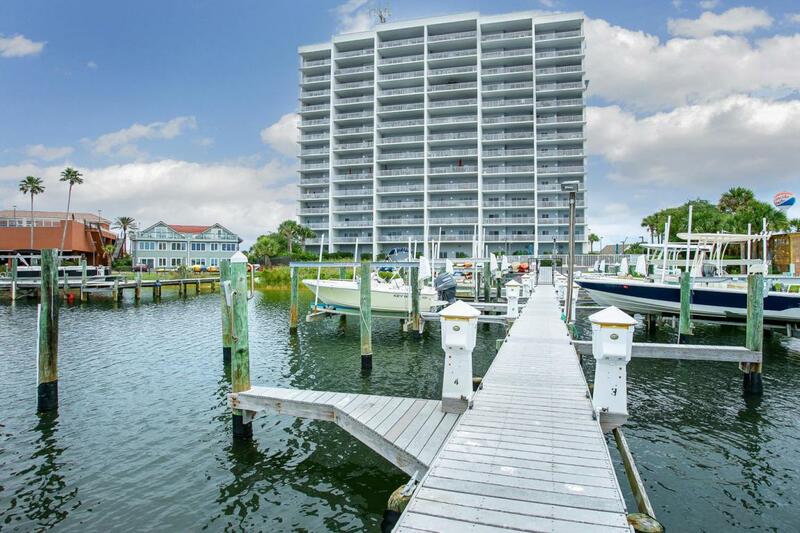 Once a successful income producing property, the Owner currently calls this paradise - Home! This lovingly maintained unit is an excellent opportunity at ownership! Listing courtesy of Grand Points Realty Llc.